[Update] A launch trailer has also been released, you can find it below. [Original Story] Assassin’s Creed Origins, the latest entry in the series by Ubisoft, is soon going to receive a brand new DLC, and today we are able to check out the first few minutes of the new campaign. The new video, which can be watched below, is a 4K video shared by IGN which shows the first 15 minutes of the DLC campaign. Set four years after the events of the main game, Bayak travels to Thebes to uncover the mystery of a new relic, which causes dead pharaohs to rise from their graves. Support for the Curse of the Pharaoh DLC has been added to the game with an update released last week. The 1.4.0 update also added a main game reward for completing the Discovery Tour and several fixes. The currently announced Assassin’s Creed Origins DLC packs aren’t going to be the only ones to be released for the game. Last month, Ubisoft CEO Yves Guillemot confirmed that more is going to be announced, and players will be amazed by what is coming to the game. We are concentrating at the moment on AC:O, for which we are going to launch a few other DLCs. So you will be amazed by what will come on AC:O. That’s the only thing we can say now. 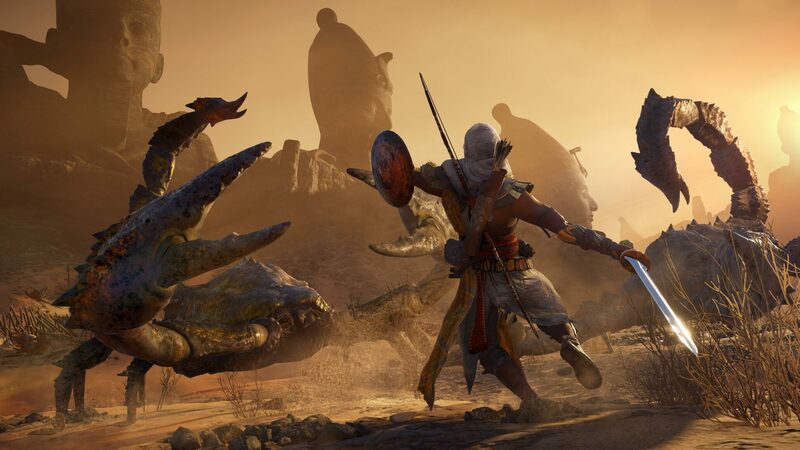 Assassin’s Creed Origins is now available on PC, PlayStation 4 and Xbox One. The Curse of the Pharaoh DLC launches tomorrow, March 13th, on all formats.